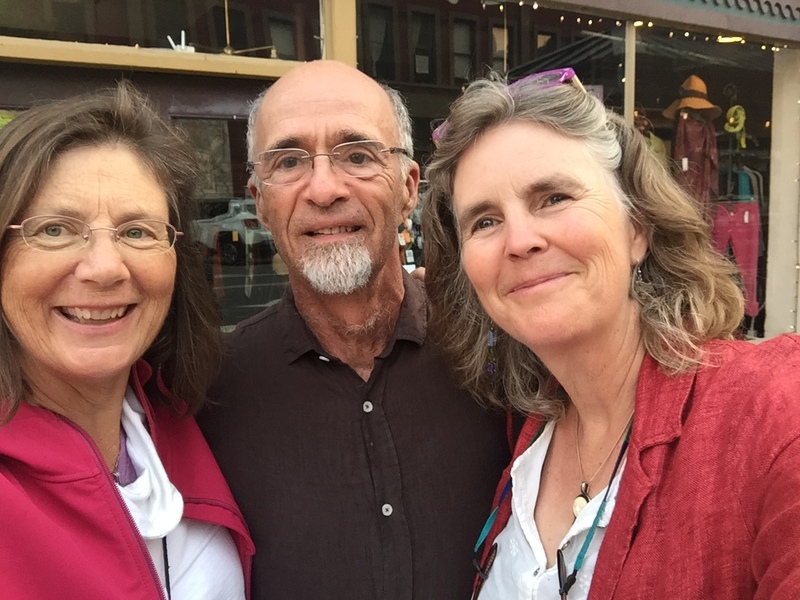 Camilla, Bernie, Sylvia during Land Residency in Port Townsend, WA. I am a home-free gypsy at the moment. I have been traveling and staying with different people, communities, and on lands and in the forest all summer since returning from the Big Island of Hawaii. It has been wonderful. I am learning to trust my path as I listen to the guidance of spirit. My traveling entourage of spirit guides includes a wide variety of beings such as Grandmothers, indigenous elders, Faery shaman, a blue elf, unicorns, fairies, gnomes, mermaids, dragons, angels, nature spirits, flower spirits, master guides, and more. What fun! Sometimes I want to curl up and make a nest… and stay put. But then I get my legs back and the inspiration to venture to new lands. Everywhere I go I receive so much welcoming love from people, communities, and the spirits of land. This is what keeps me going. A few months back I had a vision of Spirits of land calling me to come. These lands wanted me to come and visit and share land alchemy practices with others. Is your land one of these lands? Listen to the land and then let’s talk.